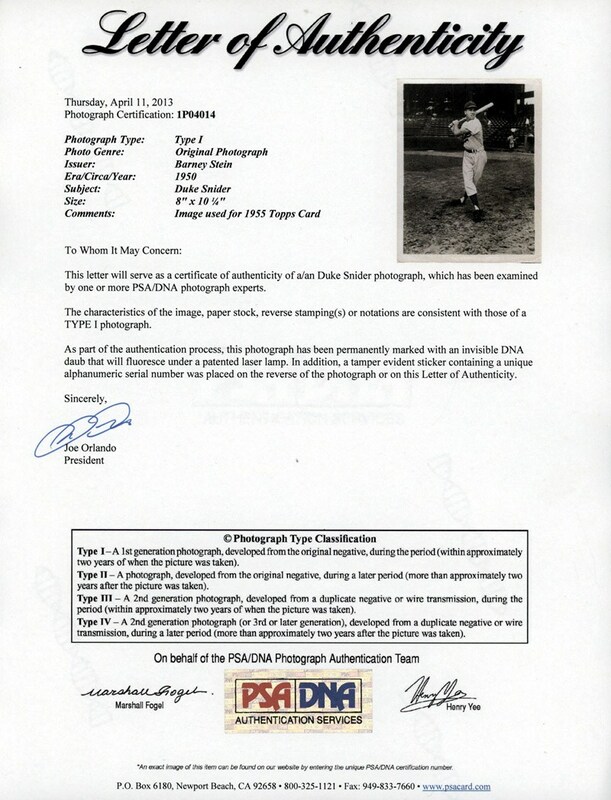 One of the most significant collecting angles in the hobby is capturing original Type 1 photos depicting an image utilized for the player's specific trading card. 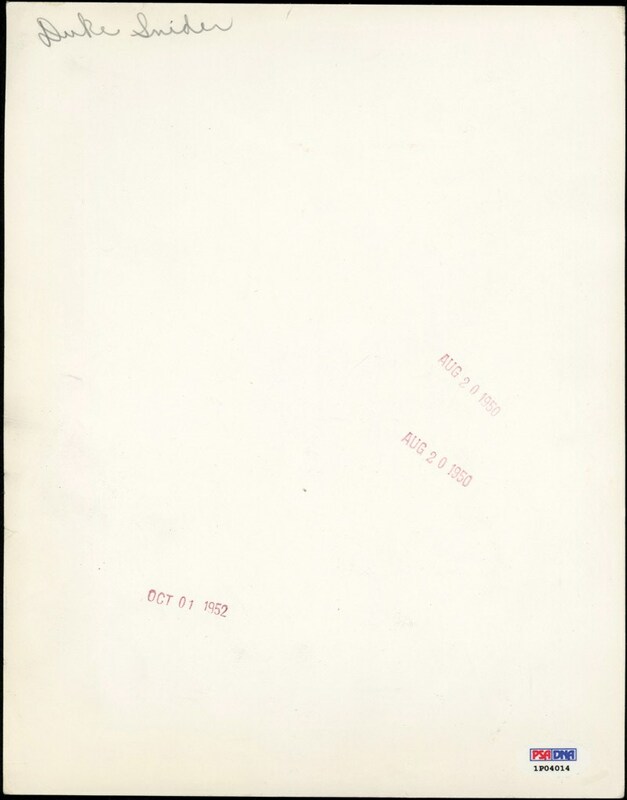 Related price tags continue to soar for such photos, justifying why this Type 1 Duke Snider 1950 image stands as a foremost memento. 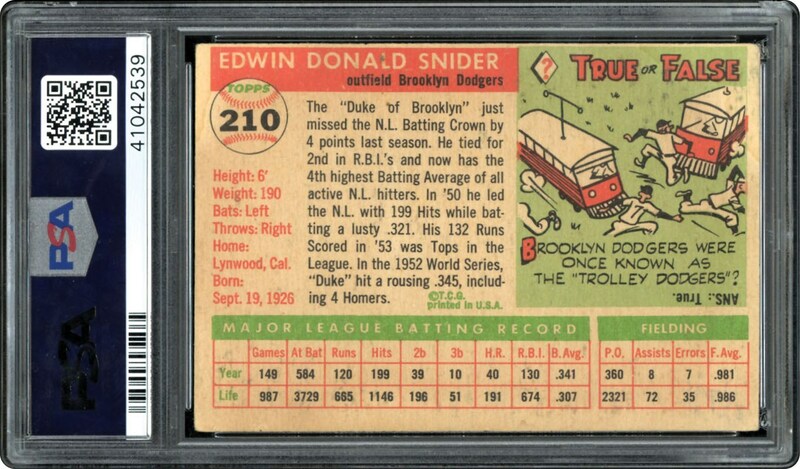 Measuring approximately 8" x 10-1/4", the classic Snider pose is the EXACT image used for "the Duke's" extremely popular 1955 Topps #210 subject. 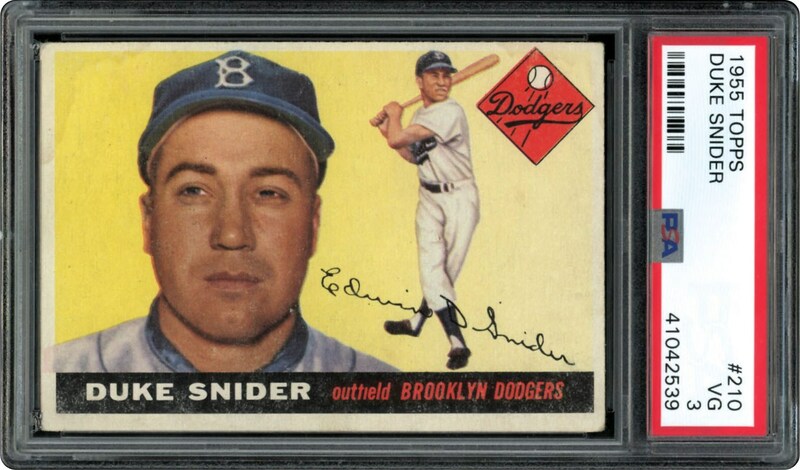 Also included in this magnificent lot is a PSA 3 1955 Topps #210 Snider card, the perfect compliment for this rather scarce illustration. 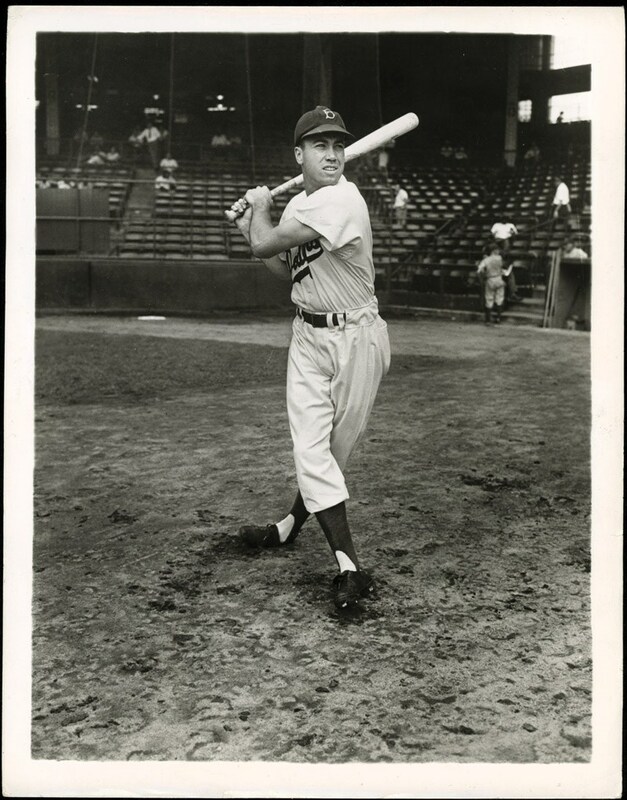 The photo itself portrays a breathtaking 'Duke of Flatbush" swinging pose with Snider donning his Brooklyn Dodgers home uniform, and emanating the finest possible clarity and contrast.